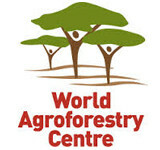 The World Congress on Agroforestry 2014 will act as a springboard to accelerate the impacts of agroforestry, build people's livelihoods, increase the vitality of the landscape and drive the adoption of large-scale innovations. The Congress will raise the local, regional and global profile of the practice and significantly increase awareness, support, engagement and investment. It will create a deliberate and tangible legacy in terms of recognition, partnerships, investments and impact, and produce a global roadmap for agroforestry with clear targets. Agroforestry has carved out a distinct niche as a robust land-management system and stands at the heart of the global community’s commitment to banish hunger and poverty and rebuild resilient rural landscapes. 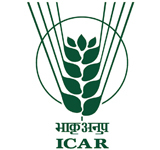 It has the potential to make substantial contributions to food security in poor countries as well as the most intractable land-management problems of the 21st century, such as climate change mitigation and adaptation, rehabilitation of degraded lands and restoring the environmental integrity of rich and poor nations alike. The Congress will attract between 1200 and 1500 participants, including pre-eminent researchers, senior politicians and donors, and major businesses with concerns for sustainable development, NGOs, farmer and youth groups. Increase the engagement of the private sector. 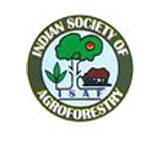 An agroforestry bazaar, networking opportunities, a share fair, buzz groups and a marketplace.